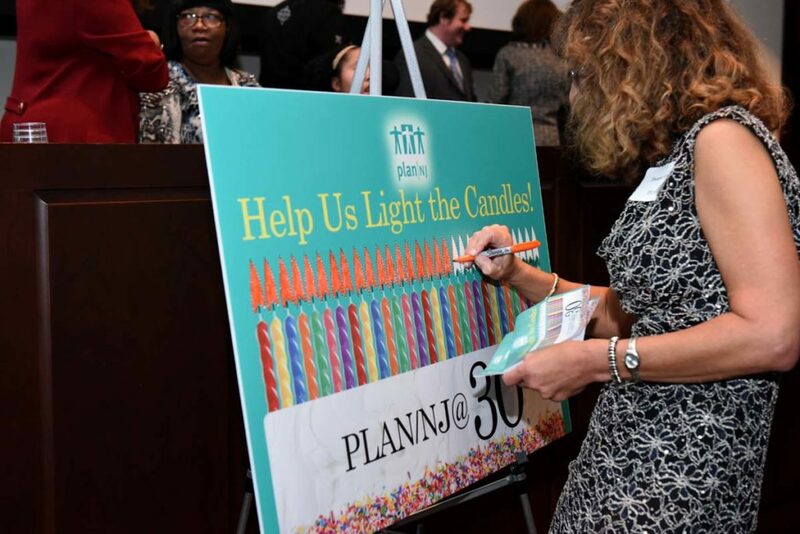 The season of giving kicked off at PLAN/NJ’s 30th Anniversary: A Celebration of Abilities biennial event on November 1, 2018 at the New Jersey Law Center, raising over $52,000 in support of individuals with significant disabilities and their families. 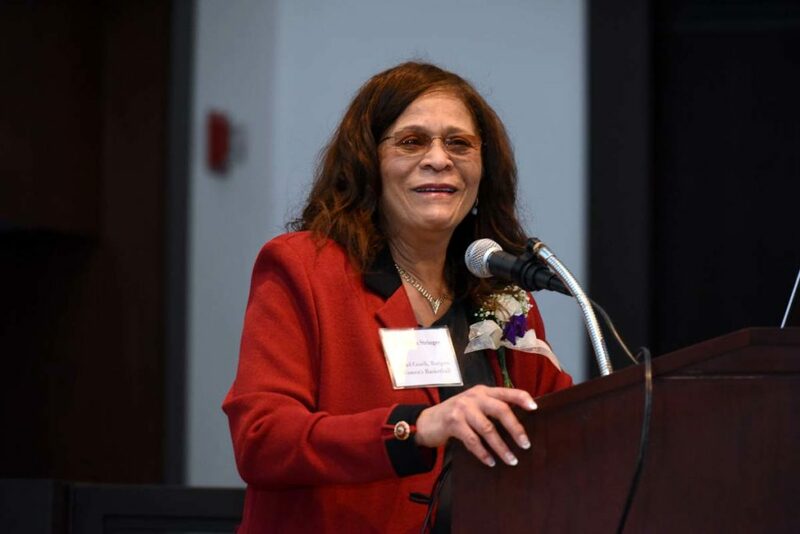 Planned Lifetime Assistance Network of New Jersey (PLAN/NJ) helps families of individuals with disabilities answer the question, “who will care for my loved one when I’m gone?” C. Vivian Stringer was honored with the 2018 PLAN/NJ Trailblazer Award for her inspirational and illustrious career, most recently as Coach of Women’s Basketball, Rutgers University, while raising a daughter with significant disabilities. Tuesday November 13 marked Coach Stringer’s 1,000th career victory and places her as only the fifth Division 1 women’s basketball coach in NCAA history to ever reach this historic milestone. 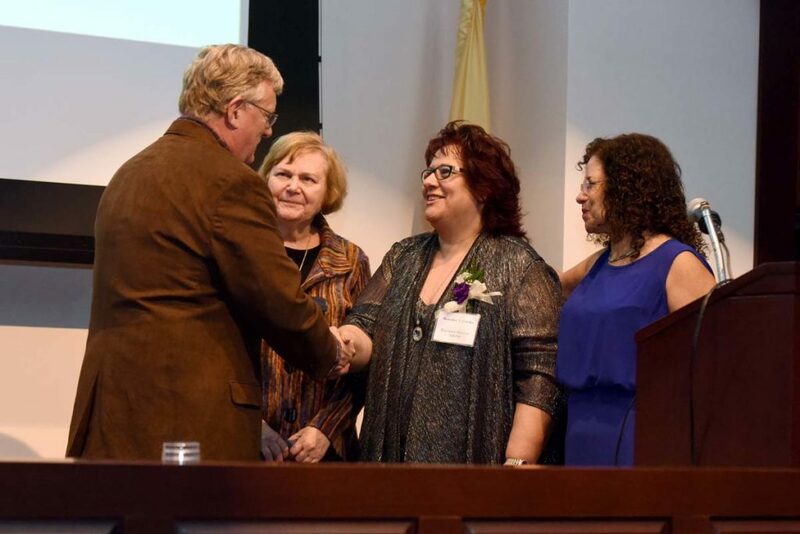 Pictured from left: Nina Stringer’s caregiver Iocent; Ellen Ball Nalven, Executive Director, PLAN/NJ; Nina Stringer; Coach Stringer; and Samantha Herrick, President, PLAN/NJ Board of Directors. 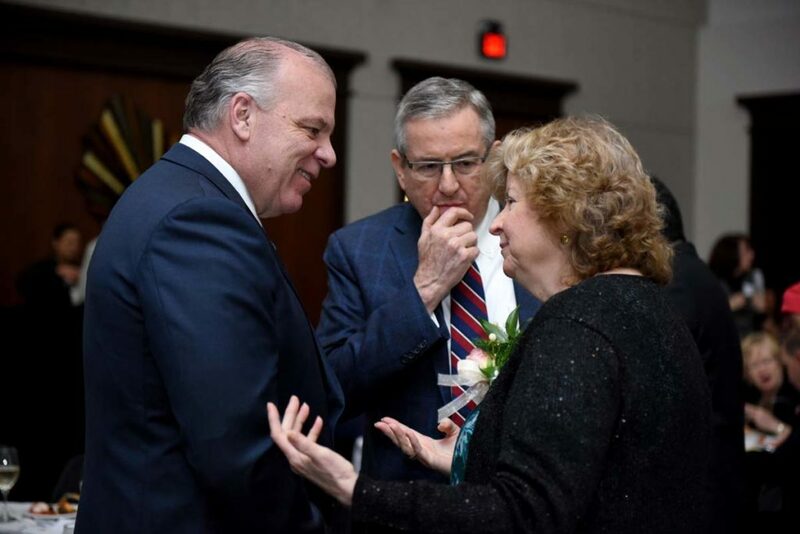 Senate President Steve Sweeney was honored with the 2018 Legislative Advocate of the Year Award for ensuring polices and funding that protect and empower New Jersey citizens to lead healthy, productive lives. 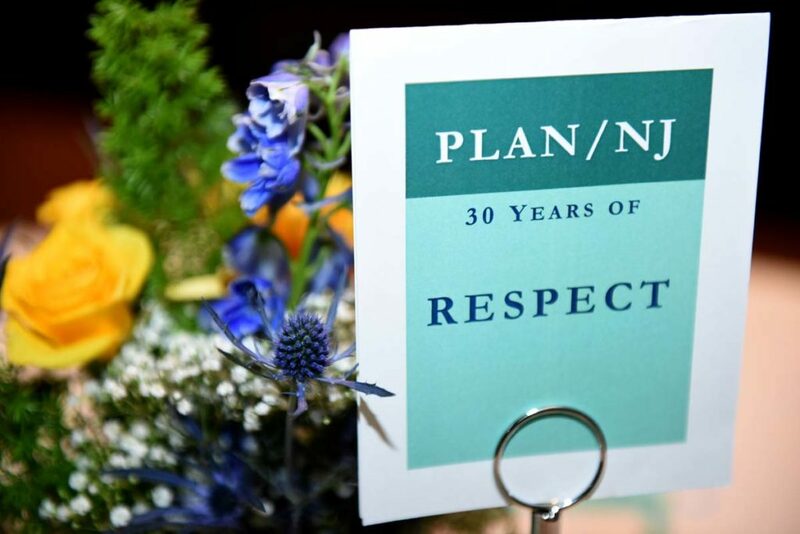 In turn, PLAN/NJ was cited by the State Senate for their meritorious record of service and commitment as a bastion of support for individuals with disabilities and their families since its establishment by the Arc of New Jersey three decades ago. From left: Dr. Herrick, Ms. Nalven and Senate President Steve Sweeney. 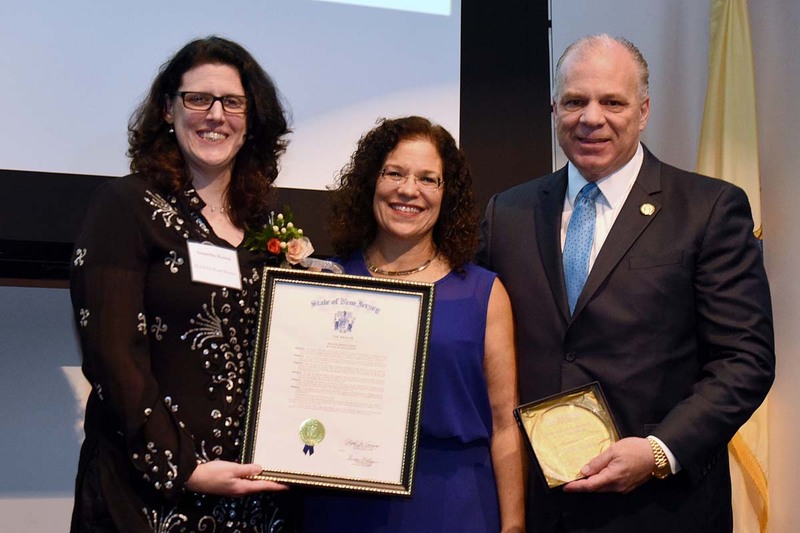 Senate President Sweeney spoke with many event guests, including Regina Tegeler, Secretary and Immediate Past President, PLAN/NJ Board of Directors and husband. 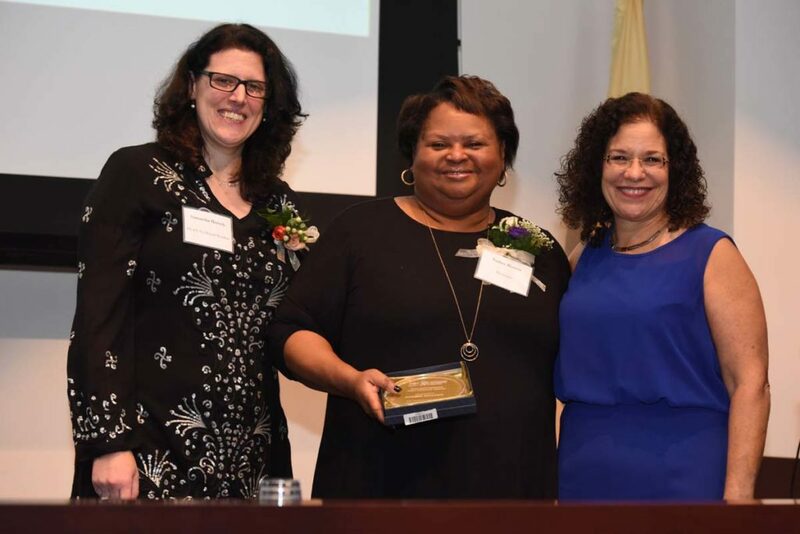 Newly-appointed Executive Director of the New Jersey Center for Developmental Disabilities (NJCDD), Mercedes Witowsky, was honored with the 2018 Fred R. Patterson Parent Advocate Award for selfless dedication and ongoing contributions to improving the lives of individuals with disabilities. From left: Mses. Nalven and Witowsky and Dr. Herrick. 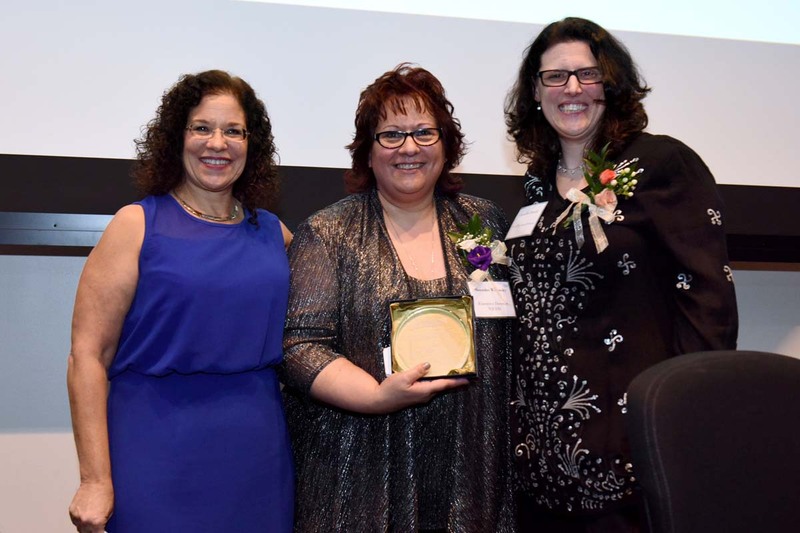 On hand to present the award to Ms. Witowsky were Rose Patterson, widow of Fred R. Patterson and Bruce Dalziel, 2016 Parent Advocate of the Year Award recipient. From left: Bruce Dalziel, Rose Patterson, Mses. Witowsky and Nalven and Dr. Herrick. 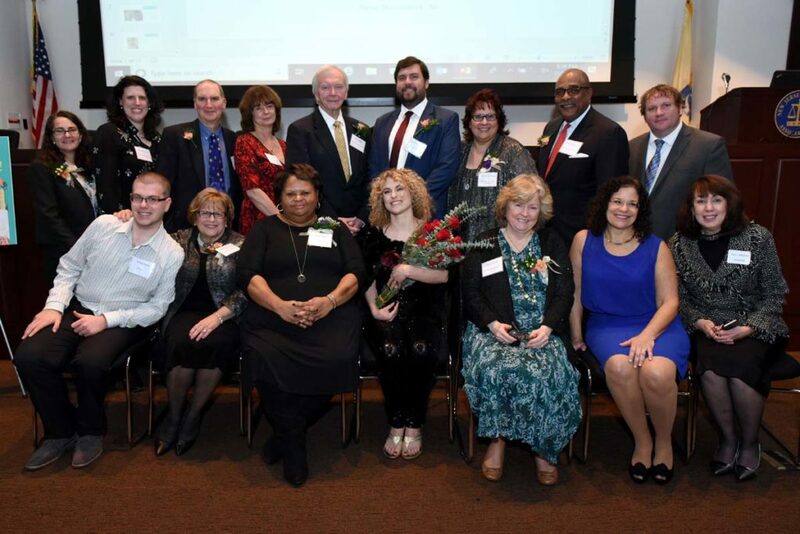 Pianist Brandon Smith was honored with a 2018 Life Planning Partner Award for his many artistic and personal accomplishments. 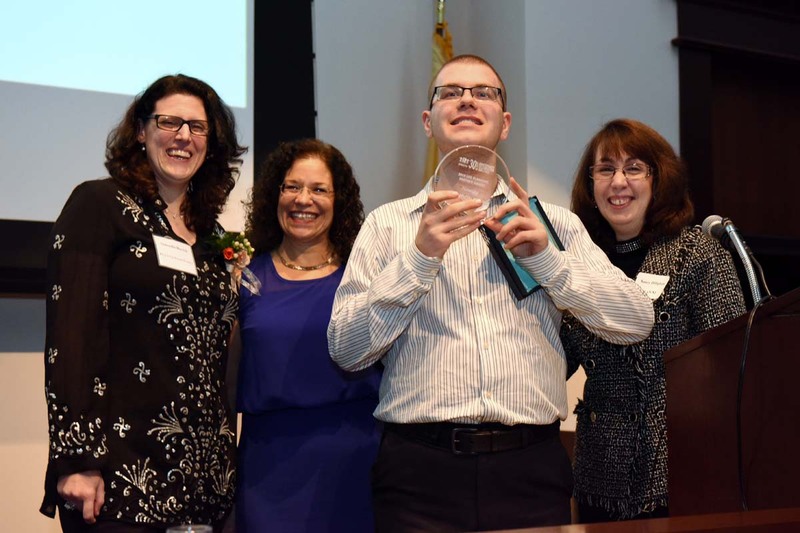 From left are Dr. Herrick, Ms. Nalven, Brandon Smith and Nancy Dilliplane, Director of Trust Services, PLAN/NJ. Already an accomplished pianist at only age 15, Brandon Smith performed Beethoven’s Moonlight Sonata, 3rd movement, for an appreciative audience. 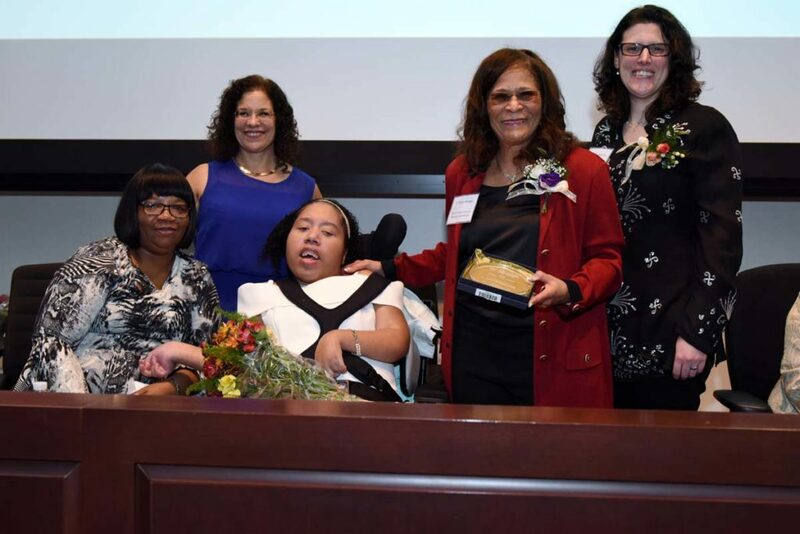 The 2018 Outstanding Staff Member Award was given to Nadine Hoston, Service Coordinator, for enhancing quality of life for individuals with disabilities. 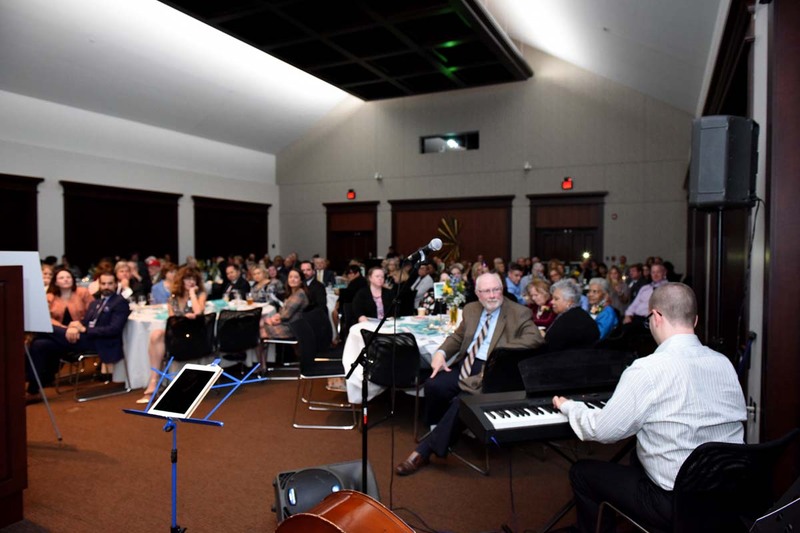 2016 Life Planning Partner Award recipient and vocalist Chelsea Palermo entertained guests with music from her extensive jazz repertoire. 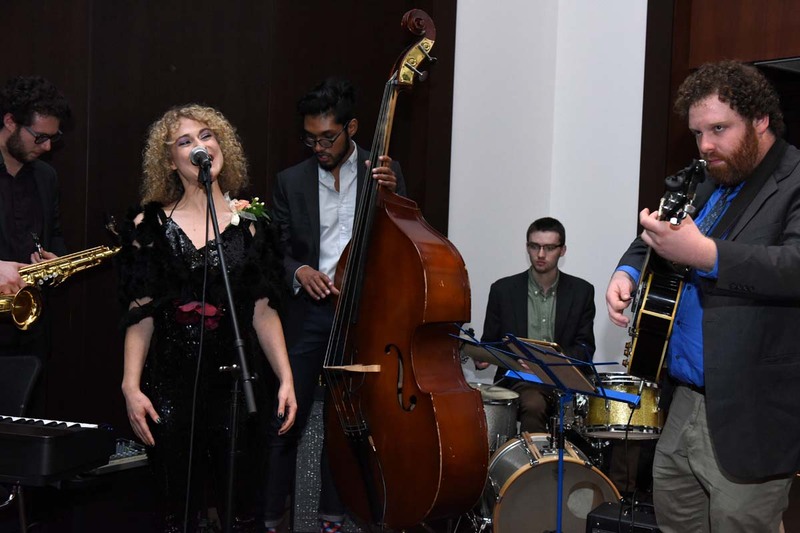 The Vincent Troyani Trio accompanied Ms. Palermo and also performed throughout the evening. A 2018 Life Planning Partner Award was given to Daniel and Carmelita Blackford in recognition of their inspiring commitment to personal growth and achievement. 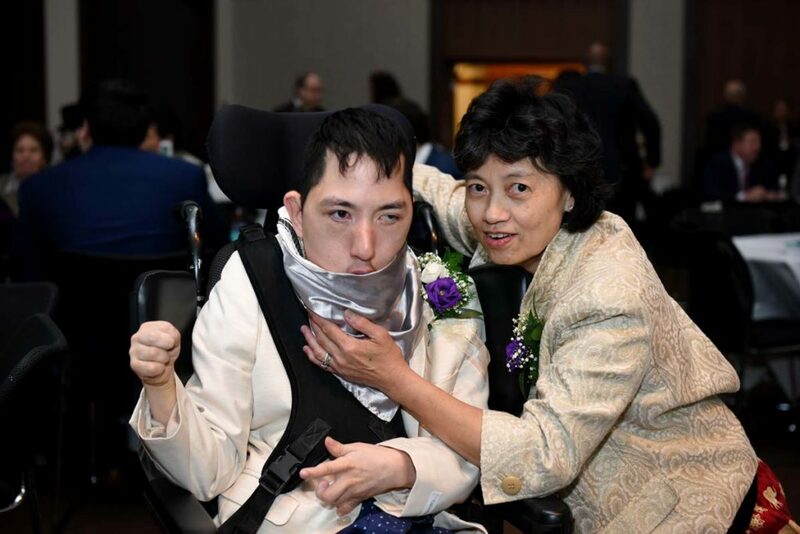 Pictured from left are Daniel and his mother Carmelita. Daniel and Carmelita read the inscription on their award. 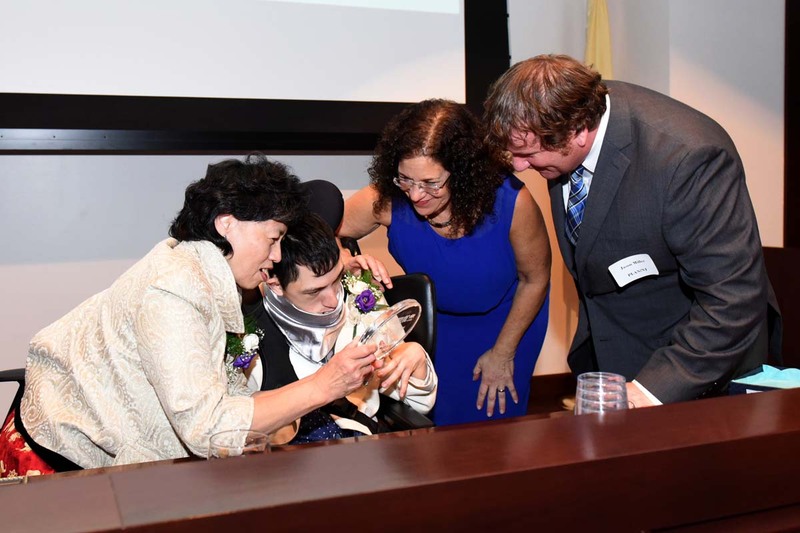 Pictured from left are the Blackfords, Ms. Nalven and Jason Miller, Director of Social Services, PLAN/NJ. 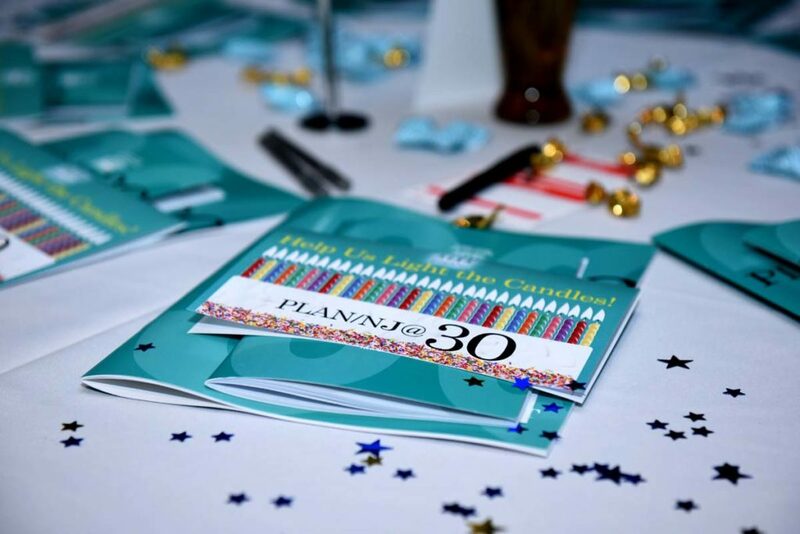 PLAN/NJ @ 30: the 2018 Annual Report was available at every table. Each guest at this special event was seated at a table named for a value or service provided to individuals with significant disabilities since the organization began. Floral arrangements provided by Inspirational Blossoms of Lancaster, PA.
Coach Stringer provided the keynote address for the evening, which recounted her family’s story of strength and endurance. In her autobiography Standing Tall, A Memoir of Tragedy and Triumph, Coach Stringer says of her daughter Nina, “Nina inspires me every day that I walk out onto the floor, and gives me strength beyond what anyone could ever imagine”. Many honorees, staff and board members gathered for a commemorative photograph. Pictured from left, front: Brandon Smith, Elizabeth G. Farishian, Nadine Hoston, Chelsea Palermo, Ms. Tegeler, Ms. Nalven, Ms. Dilliplane. Back: Beth Manes, Esq., Dr. Herrick, Thomas Zesk, Peter A. Phillips, Adam P. Wilson, Esq., Ms. Witowsky, Ted Goyins, Jr., Jason Miller. 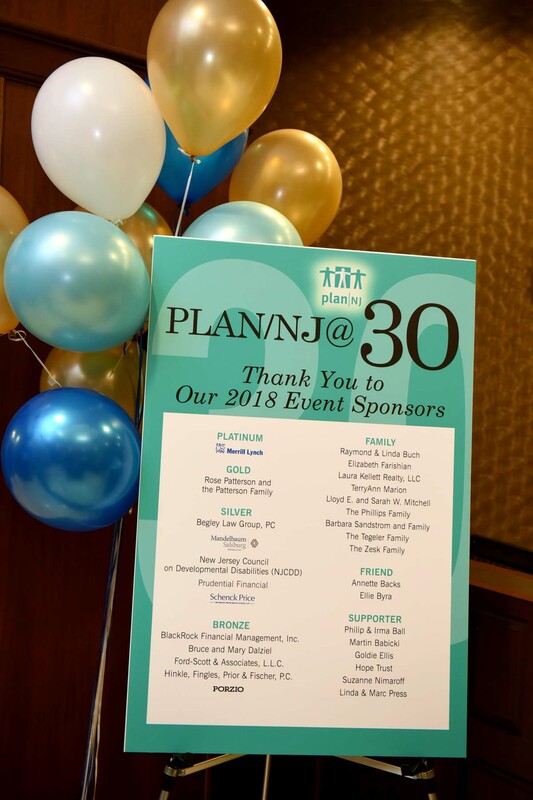 PLAN/NJ extends heartfelt thanks to all corporate and family sponsors of PLAN/NJ’s 30th Anniversary: A Celebration of Abilities.